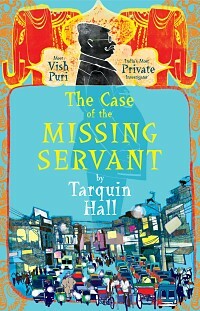 Mr. Vish Puri, chief detective of the Most Private Investigating Company, solves Delhi crimes. Well, he solves crimes when he isn’t investigating philandering spouses. The crime in this mystery is not terribly complex and the investigation team is more comic than CSI. Nevertheless, Hall captures contemporary India in transition. 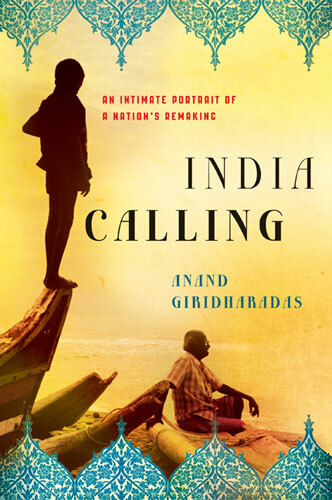 Every topic, and then some, investigated by Anand Giridarardhas in his scholarly India Calling is on display in this book. You’ll have to pay close attention to keep track of India’s current class and caste struggles, the exchange of old British-derived stodginess for the mishmash of new India, and the frustration of corruption. Much of it passes by as humor, but don’t be fooled. This author has captured India today and the reading is easy. A young NY Times journalist, Anand Giridharadas was born and raised in the U.S. to parents who immigrated from India to escape that country’s stultifying economy of the 1960s. He returns to India after college to work. He discovers a country mid-transition from rural, caste-dominated, and tradition-bound to full throttle modernity. Not only must he come to terms with a country he recalls from childhood visits and stories not really matching what his parents left behind, but simultaneously he describes India not quite living up to its reputation as an engine of commerce, democracy, and progress. There are stalled dreams, thinly veiled prejudices, Indian-bred inefficiencies, and heart-breaking corruption. The book begins with deep insight and then slows to a crawl. Without much outside evidence in the form of data to back his observations I began to wonder on what basis he could make his sweeping assertions. To his credit he calls it like he sees it. To his detriment, it’s hard to know how much of what he sees is accurate. In the end it was just too much work to read all the way to the end.